Americans call Niagara Falls a natural wonder, but the Falls aren't very natural anymore. In fact, they are a study in artifice. Water diverted, riverbed reshaped, brink stabilized and landscape redesigned, the Falls are more a monument to man's meddling than to nature's strength. Held up as an example of something real, they are hemmed in with fakery -- waxworks, haunted houses, IMAX films and ersatz Indian tales. A symbol of American manifest destiny, they are shared politely with Canada. Emblem of nature's power, they are completely human-controlled. Archetype of natural beauty, they belie an ugly environmental legacy still bubbling up from below. On every level, Niagara Falls is a monument to how America falsifies nature, reshaping its contours and redirecting its force while claiming to submit to its will. Combining history, reportage and personal narrative, Inventing Niagara traces Niagara's journey from sublime icon to engineering marvel to camp spectacle. Along the way, Ginger Strand uncovers the hidden history of America's waterfall: the Mohawk chief who wrested the Falls from his adopted tribe, the revered town father who secretly assisted slave catchers, the wartime workers who unknowingly helped build the Bomb and the building contractor who bought and sold a pharaoh. 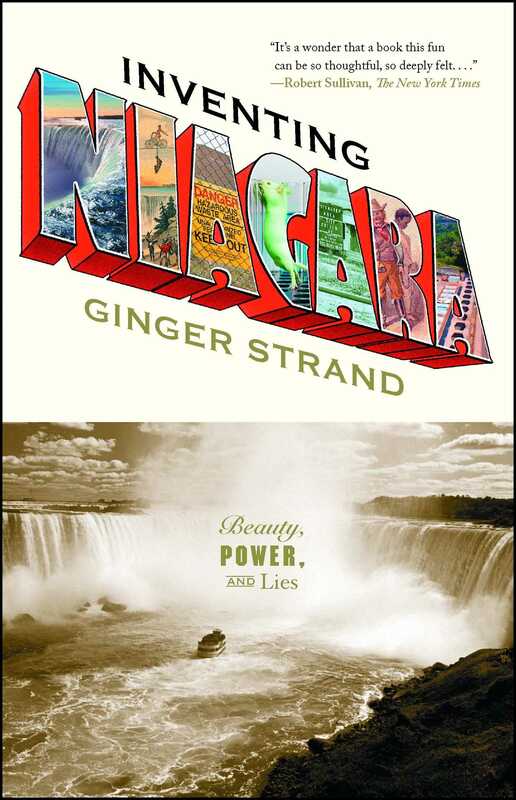 With an uncanny ability to zero in on the buried truth, Strand introduces us to underwater dams, freaks of nature, mythical maidens and 280,000 radioactive mice buried at Niagara. From LaSalle to Lincoln to Los Alamos, Mohawks to Marilyn, Niagara's story is America's story, a tale of dreams founded on the mastery of nature. At a time of increasing environmental crisis, Inventing Niagara shows us how understanding the cultural history of nature might help us rethink our place in it today.